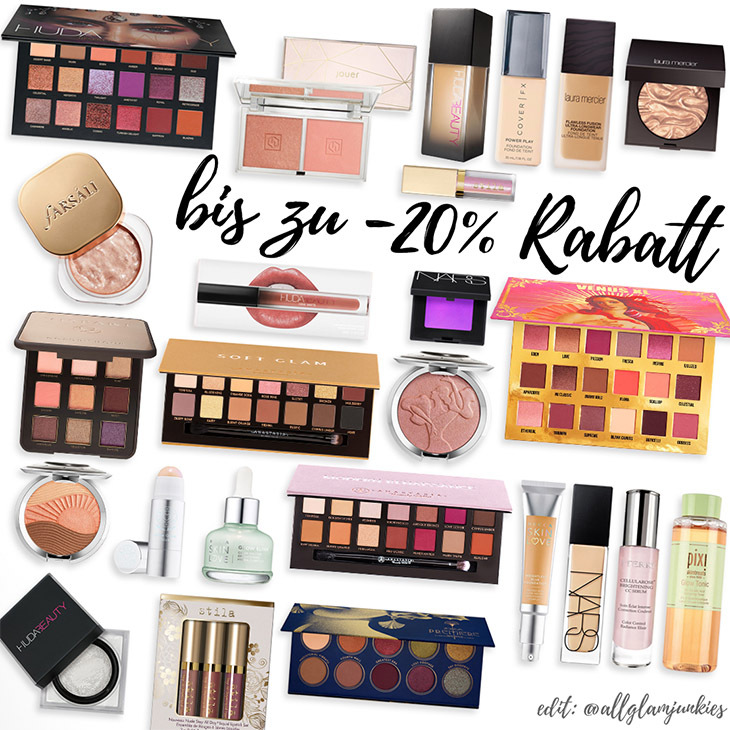 Beim britischen online Shop Cultbeauty° bekommst du aktuell bis zu -20% Rabatt. HUDA Beauty, Anastasia Beverly Hills, NARS, BECCA, BY TERRY, PIXI, ZOEVA, Laura Mercier, Viseart, Lime Crime, Jouer Cosmetics, Farsáli, Stila Cosmetics, BUXOM, Cover FX, Violet Voss, Kevyn Aucoin und viele mehr. Anastasia Beverly Hills‘ Norvina Eyeshadow Palette, Charlotte Tilbury, Hourglass, Huda Beauty’s Obsessions Palettes, Kypris, Morphe, NYX Professional Makeup, OUAI Haircare, The Ordinary, Too Faced, Vintner’s Daughter, ZIIP Beauty, Goody Bags und The Cult Beauty Box.